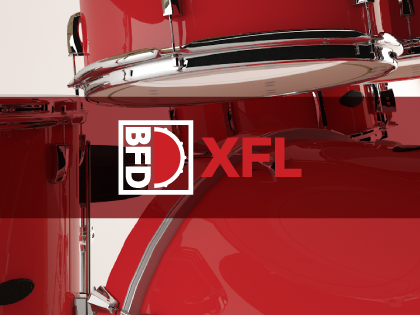 BFD XFL is an expansion pack for BFD3, BFD Eco and BFD2 offering a hugely varied pallette of sounds. BFD XFL shares the same room at California's Eldorado Studios that gave the original BFD library its unique, authentic character. 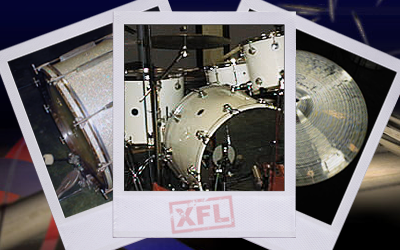 BFD XFL includes rare and sought-after instruments, many of which are played with brushes and mallets. Rides with bells and crashes with edge hits sit alongside a diverse range of splash, china, accent cymbals and detailed hihats. There's even a selection of kit-oriented percussion such as cowbells, jamblocks and tambourines. All this is recorded at up to 93 velocity layers resulting in a 22GB library with a room sound that's been tried and tested on countless records since the launch of the original BFD. BFD XFL can now be matched with the original BFD library which is available as BFD Eldorado.